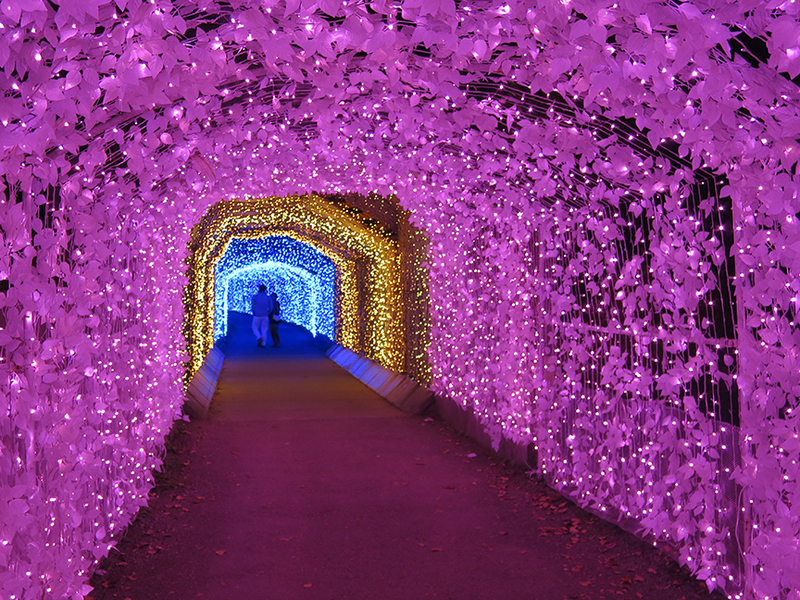 Home » Awesome Stuff To Do » The Mother Of All Illuminations Theme Parks! 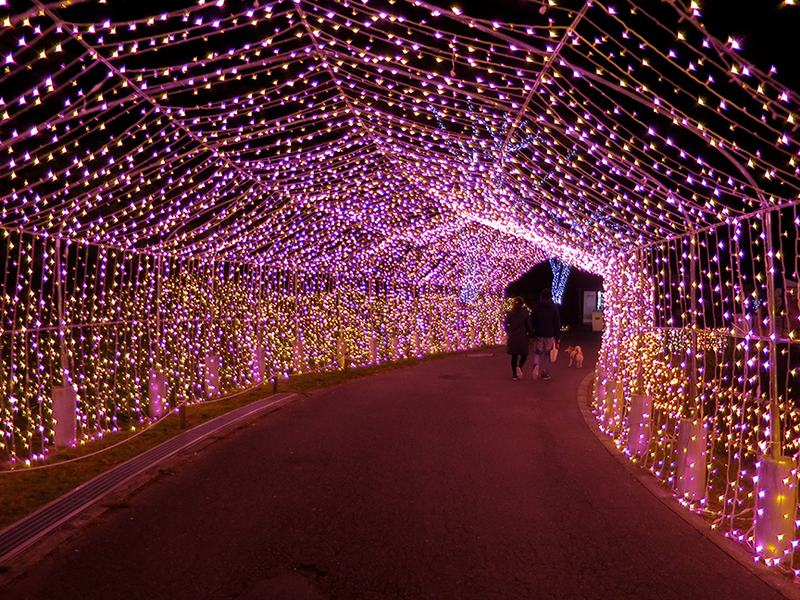 The Mother Of All Illuminations Theme Parks! When I was a kid, every year in mid-December we’d all pile into the car and drive around to find the house with the most over-the-top Xmas decorations. No surprise, I am a total, total sucker for Xmas lights. 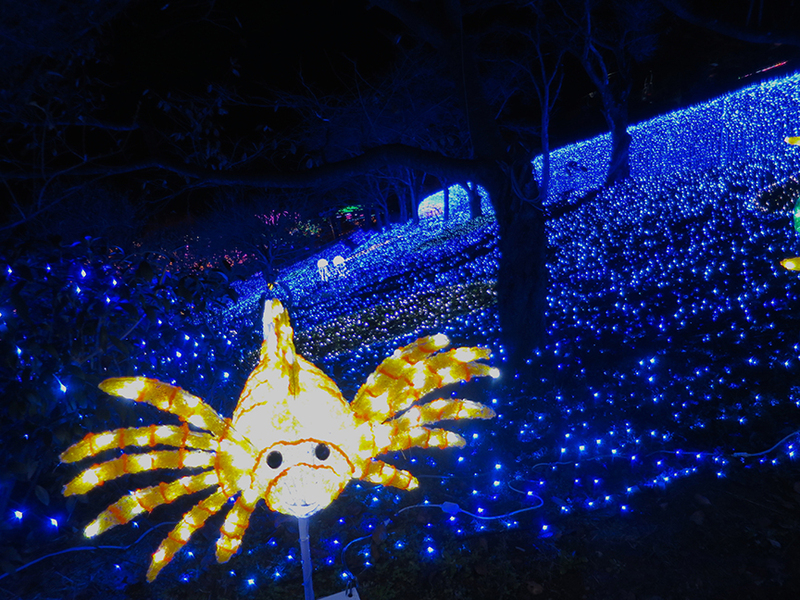 But I never saw anything that even came close to the amazing, blazing Illuminations displays that Tokyo neighborhoods started putting on a few years ago! If you’re in Tokyo with me anytime from the end of November on, you will be dragged around to see them ALL, and don’t even try to get out of it. 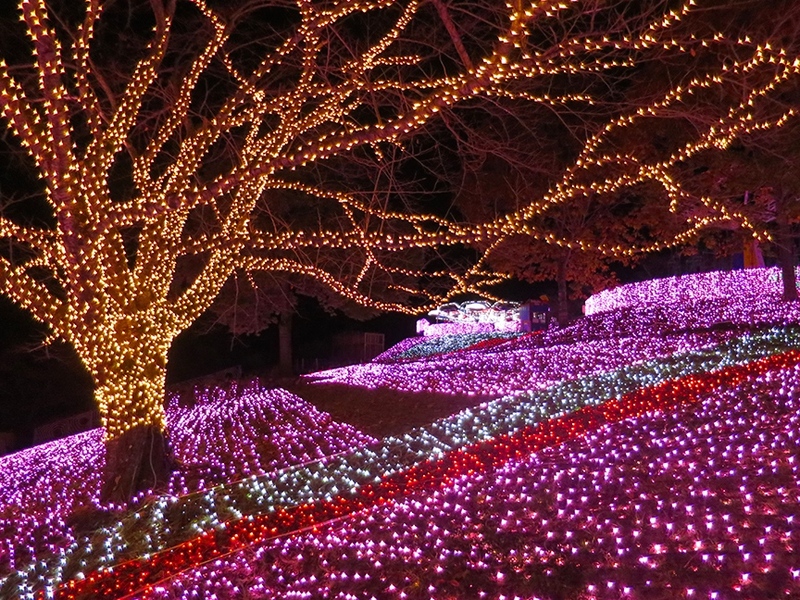 But even the fabulosity of the Tokyo Illuminations couldn’t match THIS. 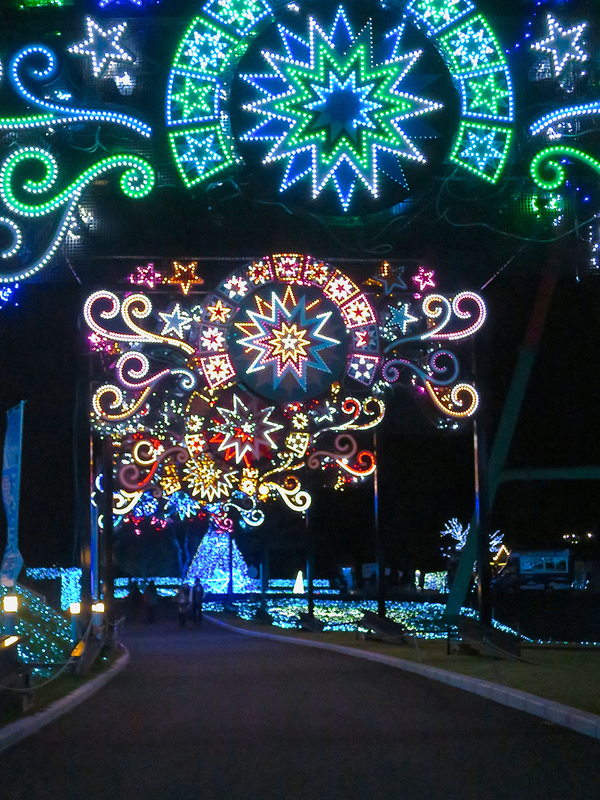 This “Illumillions” theme park is way out in Sagamiko (past Takao Station, at the end of the Chuo Line) but it did not disappoint! See for yourself! 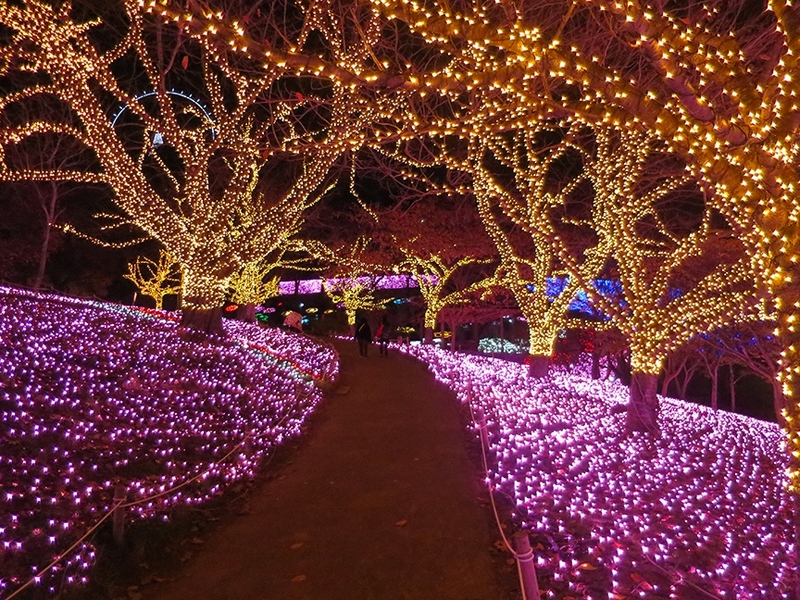 Lights, lights, as far as the eye can see! 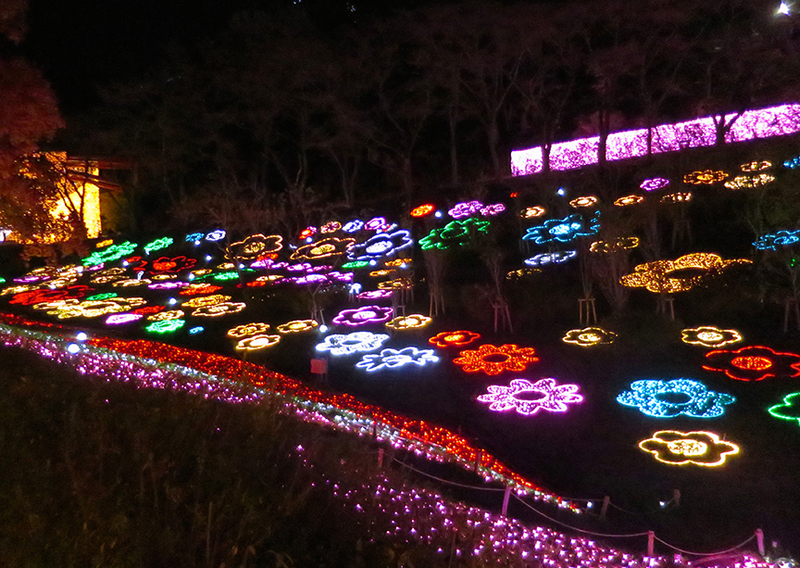 The whole mountainside was covered in lights! All the trees in the Fields Of Pink were lit up in gold. 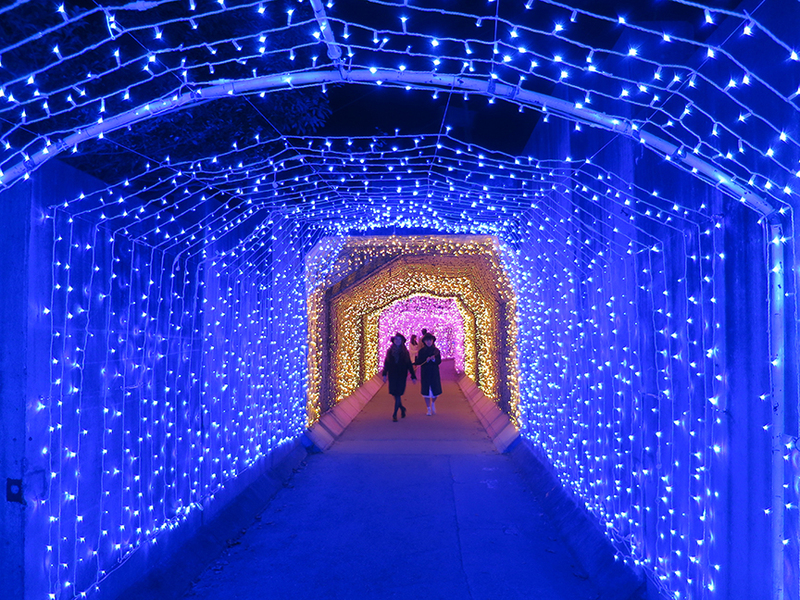 …and emerge into a glowing underwater wonderland. Denizens of the electric deep! Atop the mountain, a ferris wheel and more delights. 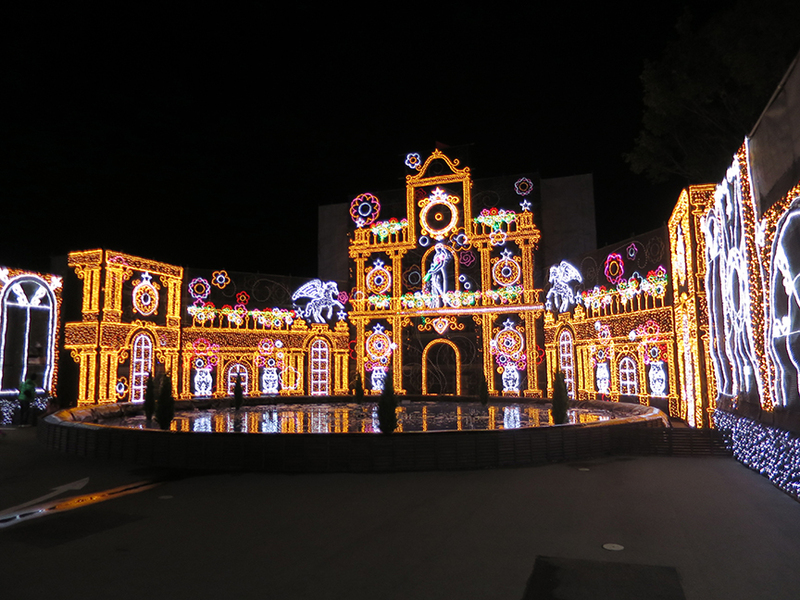 …the electric palace extravaganza, with ever-changing light show and dancing fountains set to music! And of course, there was a tree. 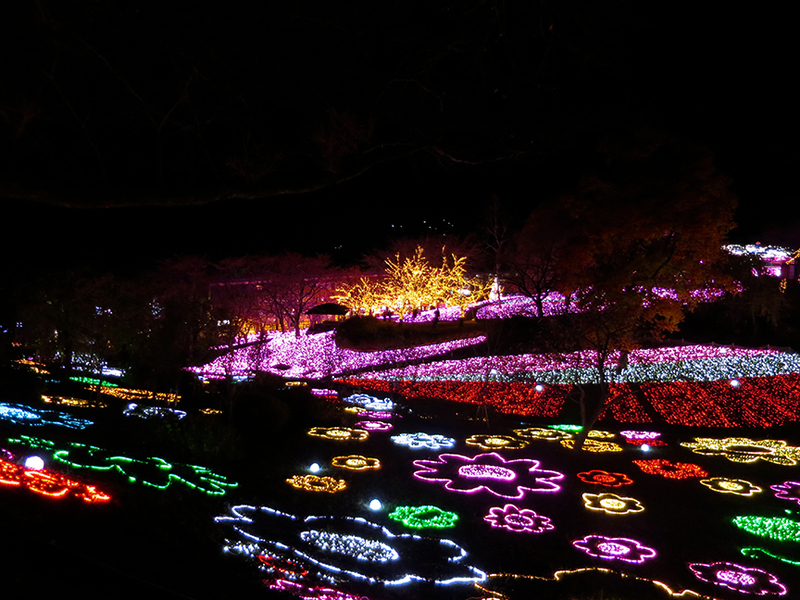 If you’d like to visit the Sagamiko “Illumillions” park, take the Chuo Rapid Line to Takao, then change to the local and get off at Sagamiko. It takes about an hour from Shinjuku Station. Open 5 pm – 9:30 pm (last admission 9 pm). Admission: Adults ¥600, Children ¥400. There is a map on my website, The Tokyo Guide I Wish I’d Had. 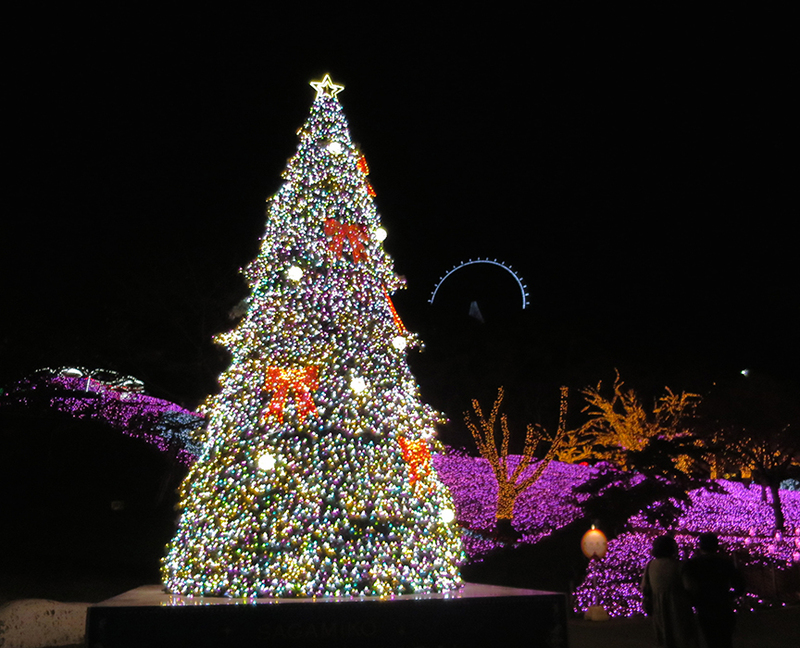 If you want to see amazing Illuminations right in Tokyo, check out the places that had incredible displays in 2011, 2012, 2013, 2015 and 2017! Holy Hikari, Batman! That looks way more elaborate than anything I’ve seen back in the rich neighborhoods! In San Francisco, the rich neighborhoods only have these TASTEFUL displays (strings of tiny DEEPLY UNSATISFYING white lights), so I always head out to the Avenues, where homeowners get their one chance a year to stand out from their neighbors with blinking, flashing, colorful lights AND LOTS OF THEM. heh. But nothing is nearly as good as the ones in Japan. Will you be ashore in time to see them in Tokyo?